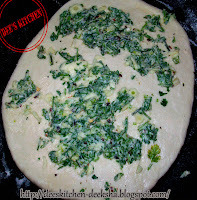 Today I have hopped to Priya's blog, "Priya's Easy n Tasty Recipes", for Radhika's Blog Hop Wednesday Priya is a wonderful blogger and awesome baker. She has a wonderful collection of recipes from various cuisines. 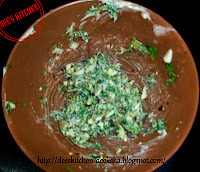 A very simple reason why I have chosen this recipe is I want to have a strong grip on baking. 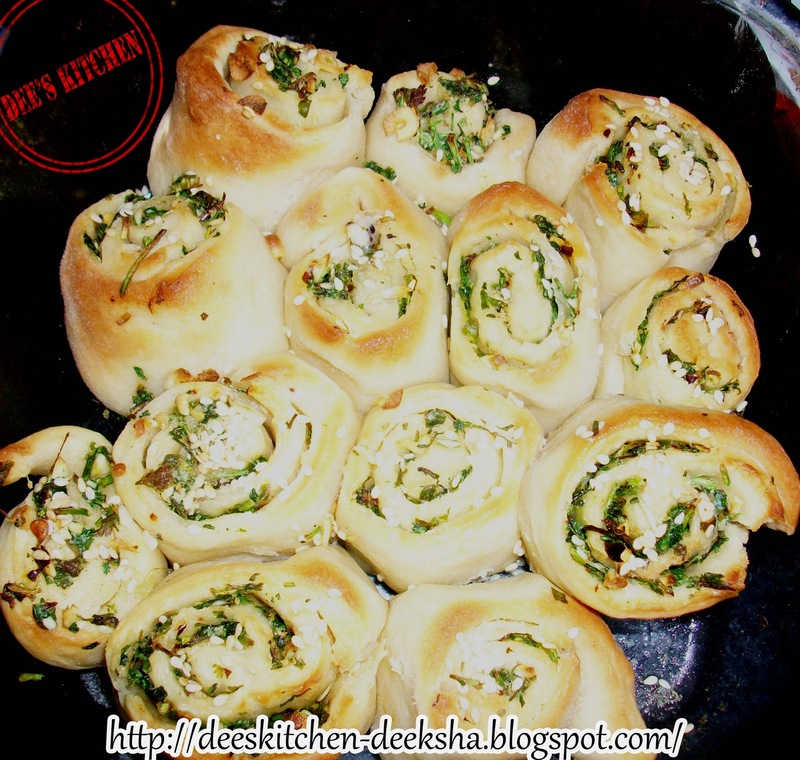 I baked these garlic rolls and they came out perfect. My family enjoyed a lot. Thanks Priya for this wonderful experience. * In a cup of lukewarm water add yeast and sugar. Let it rest for ten minutes. * In a mixing bowl, mix All Purpose Flour, salt and olive oil. 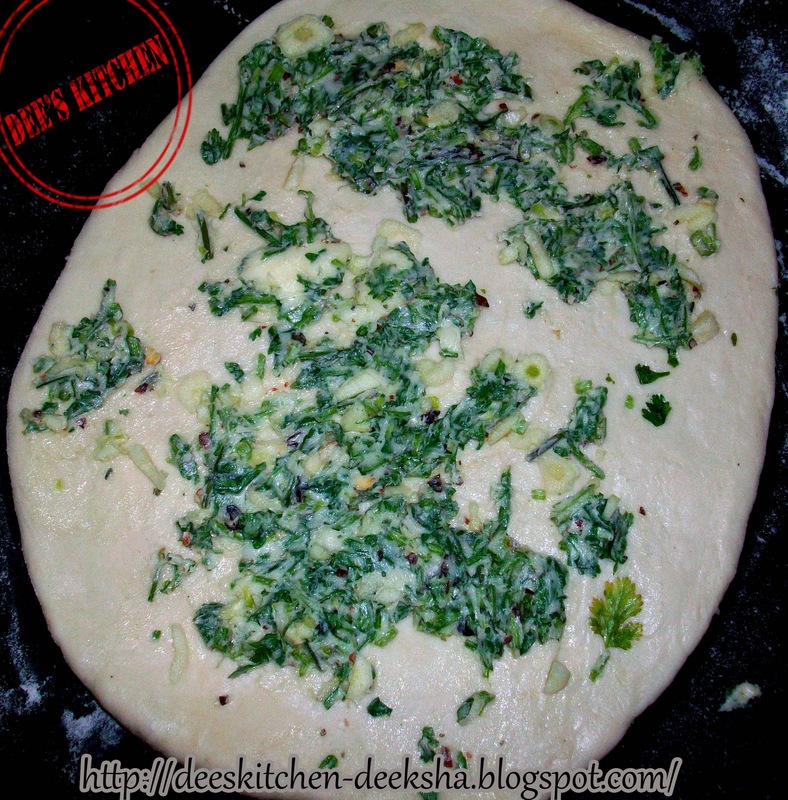 * Add ready yeast and some water to knead a smooth dough. * Keep the dough in a warm place for two hours. 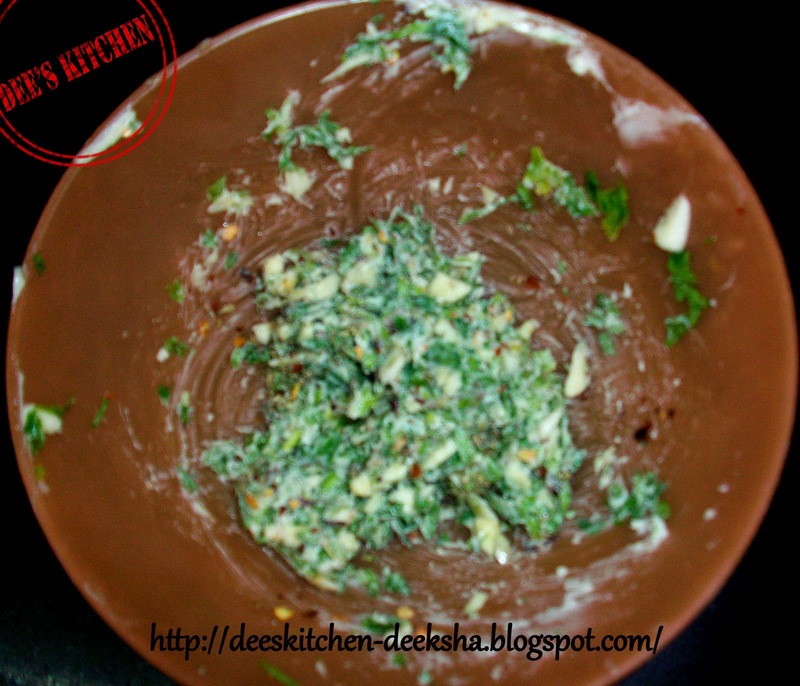 * Meanwhile mix all the ingredients for the filling/spread. Keep aside. * Once the dough swollen up, punch it down. Divide this into two equal halve. * Dust the platform with flour. Take one half and roll it into a rectangular shape. 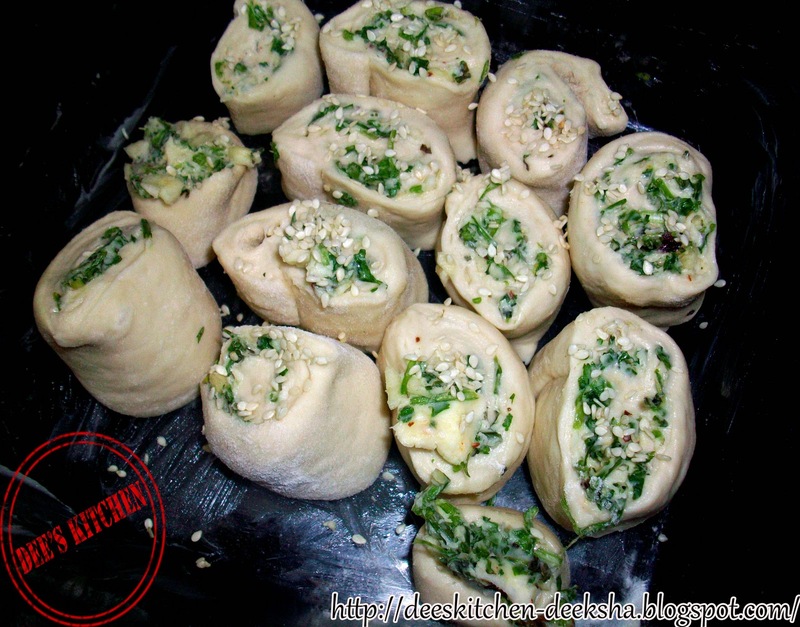 * Spread the filling properly and roll them as a loaf. Cut the rolled loaf as 5-6 pieces. * Repeat the same with the other half. * Now place these rolls in a greased baking tray. Sprinkle some sesame seeds. * Add on the remaining filling over the rolls. Let the roll rise again for fifteen minutes. * Preheat the oven to 180 degree Celcious.and bake the rolls for 20-25 minutes. Absolute delish.... perfect for winter evening snacks dear! awesome u hv made it superbb.. too yumm n i lover to grab few .. 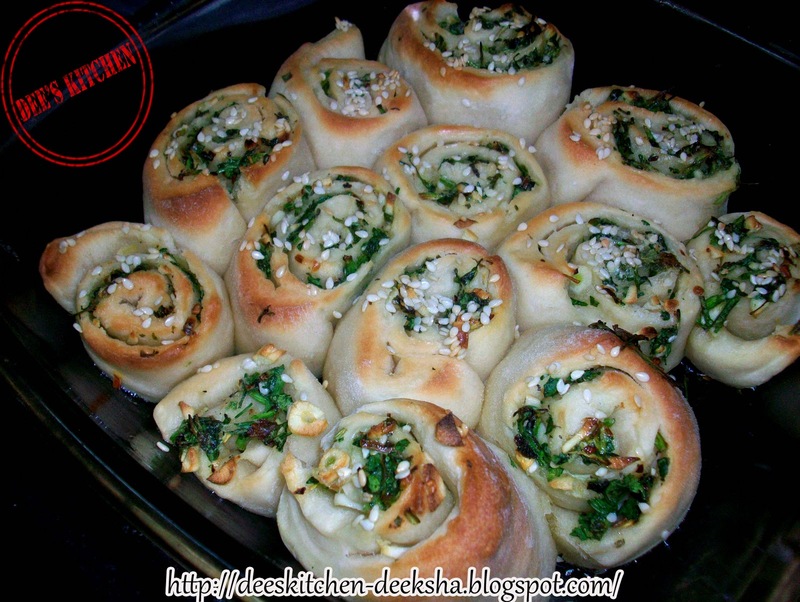 I've seen these garlicky rolls on a couple of sites but I'm intimidated to try it. You've done it to perfection! Lovely clicks and great looking rolls! hey there is a giveaway in my blog- check it out ! Looks incredible and inviting, they turned out super prefect..Thanks of trying Deeksha. Fantastic and Healthy bake.Perfectly done.Luv it Deeksha! Those stuffed garlic rolls look very appetizing.. Delicious rolls, looks so yummy and perfectly done. Perfectly baked and shaped..yummy rolls. Looks great and sounds delicious !! Garlic rolls looks fabulous, tempting and yummy. Gorgeous presentation.